At the end of last year, the National Implementation Advisor for Care Leavers released a report on findings from his visits to over 40 Local Authorities (LAs). Mark Riddell opens the report stating one key principle that should underpin LAs approaches: “in everything we do, or change or develop, we have to ask ourselves ‘is that good enough for my child?’”. It’s within this context that we need to consider the findings of Ofsted’s annual report 17/18. Over 65,000 of children in need and more than 12,000 children in care are under the care of a local authority judged inadequate. Clearly, this is not good enough for our children. But we are optimistic as nationally, the overall effectiveness of LAs is improving. The proportion of children’s services judged good or outstanding has improved from 36% to 42% and there has been a decrease in the proportion judged inadequate, from 22% to 13%. So, what can we learn from outstanding children’s services? Leeds was also praised for accurate self-evaluation and continuous improvement. 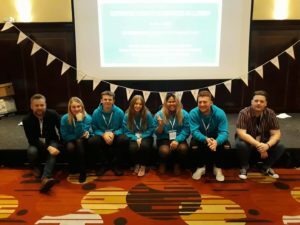 After identifying the need for improvement within the care leaver service, they have recently made the care leaving service a distinct service. It will be interesting to hear the learning from this model in the coming months. Unleashing greatness in 2019 – how do we build services good enough for our children? Positive change doesn’t happen in silos. The common thread that links all of Leeds’ success factors is engagement, collaboration and effective communication. Care experienced young people, frontline workers, LAs, voluntary and private sector partners have all listened to each other and worked with a shared intent to improve the service. And we must look beyond individual authorities to share best practice, listen and learn. Catch22’s National Leaving Care Benchmarking Forum (NLCBF) – a network of over 100 local authorities – provides a space to share positive practice, learn from peers and promote the development of quality leaving care services. We can pinpoint what needs improving, and systematically work with partners all over the country to do that – this year we have commissioned some research to learn from the roll out of the Local Offer and to drive positive practice in the sector. There are bright spots all over the country, and the brightest are where we’re listening intently to all partners, at all levels, doing things with people, not to them. One of our Catch22 Plays is “things about you, built with you, are for you.” We’re seeing that daily in our partnership work with Southwark Council to redesign services for care leavers. Central to this is the principles of co-design and creating a service that is good enough for our children; built with the whole community. An example of this in action is our service Kent SAIFE (Supported Accommodation in a Family Environment), where young care leavers are supported with the transition from the care system to adulthood, gaining independent living skills in a stable family environment. The community comes together to support its children. So, to improve children’s services, the message is simple; spend time really listening, build services around the needs of all partners from the child to the community, and move forward with shared intent. Find out more about Catch22’s work with looked after children and care leavers here.